Download, extract the file and load it to your Photoshop Action Panel. Font Mate is a unique font viewer, because it is not just a font viewer. There are more things you can do with this software. Version for Mac OS X, Windows and Linux is available. 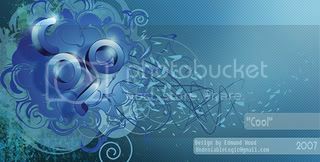 Spinning Wind effect is my second Photoshop Action that I will share with you for free. I browse the Da Font recently and I decide to share the most “destroyed” fonts with you. All of these fonts are free for personal use. You can download them by visiting Da Font and don’t forget to visit the Font Authors personal site. Grunge fonts are more likely identified by their texture details and sometimes erratic in posture, weight or height. I got two grunge fonts created by Andrew 2 Hart and three others by Last Soundtrack. In the end of my font review I come up with StereoType’s new font, which titled “Base 02”. Click each font’s title and its illustration to start the download. Andrew made a Serif Grunge and his choice is Georgia. These fonts are more eroded in the certain caps, which are: B, D, E, G, H, O, Q, R, U. I made a special illustration for this font and you can see how the red O is quite dirty in appearance. I guess this font is related to Typewriter typefaces. You can see outer soft lining for body type (which is typically found in typewriter fonts), only this one is condensed. They have medium weight with detailed textures. Everyday Ghost fonts have normal baseline and posture so you should modify it for a bit to create more erratic effect in illustration. My Favatar is a new web tool service which provides free hosting for your favatar and favicon. To register is simple, you will be asked for username, password, and email address. After that you will receive an email to verify your account. What is Favatar and what is Favicon? Randa Clay, an author who contributes in weekly basis at Wisdump wrote her very first article about common blog layout mistakes. This is interesting because sometimes we don’t think as if as we are a blog reader. We were just writing and posting what we thought was a good article. A blog is somehow an alternative way to establish dialogs on certain topics. Visitors read your article and put comment on it. But is that all what your blog readers need? Outstanding article post??? Are they really comfort to stay there? Well, blog readers also deserve better blog layout to read and eventually put comment on it. There must be some good reasons how an interesting layout performs very good visitors traffic than the other. Common blog layout mistakes could make a blog easily forgotten. What does it takes to customize your blog and avoid unnecessary layout mistakes? Jump on over to Wisdump to read the full article ! Bored with the look of your own blog? And are you secretly feelin’ not proud with your blog logo or header ;) Or you might want some advice form a designer expert about how you can miraculously PIMP your blog out? 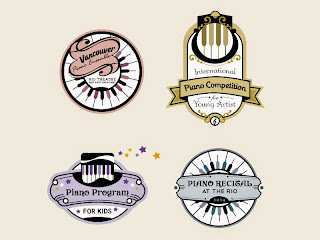 One winner will receive a custom blog logo, along with a custom header if they would like one. A second winner will receive a free blog review, including a feature article on this site. You need to complete three easy entries to join this blog contest. What are they? And how? Have all the details for this contest at Randa Clay – Pimp My Blog Contest. In the mean time, don’t miss this opportunity since all entries must be received by August 24th, midnight US Eastern Time. One of my friend, Alwin Sanjaya reviewed this widget on his blog. I was courious about it and only now I have a chance to install this Web 2 PDF Online widget to one of my blog, Graphic Identity Tutorial and the result is great. For now you can always save my tutorial articles in PDF files format. I started a discussion on Blog Catalog several days ago on that topic. The result is interesting and I come out with a conclusion that most of Bloggers tend to use grayscale to white as background layout. 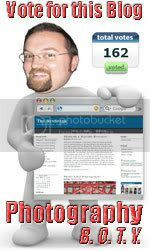 This is good since white or gray makes easy for eyes to capture the whole blog content, especially if your blog is rich in text content. Dark background works very well for a photo blog. Photos or images that you post would look amazing if you choose black or dark blue as background color. Contrast balance between the background and the content will helps the audience to focus only to what you want to show. Of course you will also need typefaces in brighter color for headers and paragraph. I wrap up color palette of these blogs that I reviewed into 3 (three) major colors. This is my way to determine what kind of moods and sense appears in every blog. These are the blog snapshots of everyone who has joined in the discussion. Vishnu’s blog brings powerful concept into the design, which feels reliable, has visual depth or complexity. Bright cobalt blue reinforced its intensity by powerful black background. Pale yellow pastel is very good choice for the text color since this color is delicate but fairly contrasts and adds vitality to the whole design. Do you ever wish to have Flickr or Zooomr Pro account? Here is an interesting way to grabb it for free. Ben Spark starts a contest in August, it has been going fun and so easy. All you have to do is collecting points by writing a Blog about this contest and just comment on Photo-A-Day post for the month of August. (limit one comment per PAD post). And please do link back to my site Graphic Identity Affiliate (http://graphic-identity-affiliate.blogspot.com) for the reason that you vote The BenSpark. Color Pic is the best color grabber and easy to use. I would say that Color Pic is practical graphic software for a busy designer. This design software, works on the top of your desktop PC window, in front of any other active application which runs in the same time. It has 16 chips to view your most recent picked color and you can label your color chips collection in a palette tool which placed on the top. There are 5 tools that you need to know to have optimized benefit of Color Pic. BittBox is one of my favorite Design Site, contribute its users to submit their images / designs on Flickr BittBox User Showcase and turned up to more than 300 outstanding images and designs submission. Browse them all and be inspired!! A Free image and photo editor for today’s review will be Paint. NETwhich is developed on the .NET Framework. 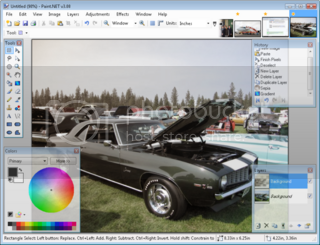 This software is an open-source freeware editor and now enters the new Paint.NET version 3.08. Although it is a freeware, it has much more essential graphic tools for a pro compared to the average image editors. As we all know that average image editors which are free tend to have limited tools for further graphic manipulation. We might think about basic image editor tools such as: resizing, cropping, rotate/flip, and other standard image editor to adjust exposure, sharpness and color or some few sort of pluggins to create decent photo retouch. Well that kind of software not even close to Adobe Photoshop for a pro graphic designers. Did you know that Photoshop Action is a special feature of Adobe Photoshop that can record series of executed command you have made to your design work? This feature can easily create your design within a click in a minutes or less after you customize it. You can have several of Photoshop Actions saved in your computer hardisk. Photoshop Actions is a very handy tool for digital lab, photographer, advertising or publishing agency to create the same special effect style over and over, and of course, this feature is designed to maintain your effective work schedule. Photoshop Action droplets file can be saved in .atn format after you made series of commands recorded. It would remain there, in actions and history panel and stop to work after you save your work design.